Businesses face a big challenge when it comes to getting new customers: the dreaded internet review. Most consumers – 85% of them – say that they read online reviews for local businesses. The internet is a great source of information and potential customers use it to see what others have to say about a business. And that’s before they even leave their home! Online review sites make it super easy for users to express what they like and more often what they don’t like about a business. 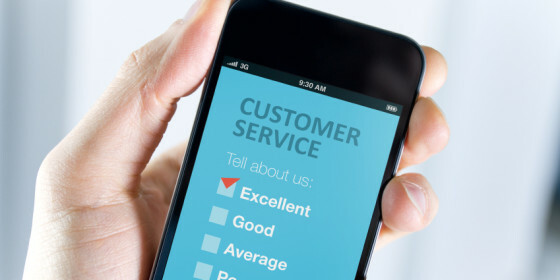 For better or worse, these opinions can sway potential customers. Online review sites such as Yelp.com, Google+ Local, Citysearch and others can help small businesses get new customers as they search the internet for feedback about products and services. The ability for users to leave a review can be great if the users leave positive remarks. We all appreciate a nice pat on the back from time to time. But when users leave negative online reviews, many businesses see this as a detriment to getting new customers. Negative comments can scare away potential customers. So what’s with all the negativity? My clients always ask me, why do people take the time to leave nasty comments? Can’t they just keep their opinions to themselves? Well, it turns out most people are more likely to remember and share bad experiences instead of positive ones. This is part of a survival mechanism called negativity bias, something that’s been with humans for thousands of years. Negativity bias is a way for people to protect themselves from bad experiences. Whether the experience is merely unpleasant or highly dangerous we will remember it in greater detail in order to avoid such a thing in the future. We are also more likely to share these experiences to protect others from experiencing the same thing. Hey, we’re just trying to look out for our friends so they don’t experience the less-than-stellar-service at the new burger joint in town! But all kidding aside, there is some serious science behind all of this. Along with remembering a bad experience, there is also a heightened feeling, or adrenaline rush. Research shows that when a person communicates the details of that experience the feelings diminish. This relief also drives customers to tell others about the experience in a negative online review. The internet is the fastest, easiest way to tell others and to let go of a bad experience. As a business owner you might find this frustrating, but there are steps you can take to use online reviews to your advantage. With the number of potential clients using online reviews to pre-shop, having good reviews will encourage them to come to your business. Some review sites will allow you to respond the comments. Addressing a problem is better than ignoring it. It lets potential clients know that you care and that you listen. If you have taken steps to correct a bad experience, then reply to the bad review, apologizing for the inconvenience, and state what you have done to fix the situation. Bad reviews can be a tool to correct problems in your business. If there are complaints, do what you can to correct bad customer service. Online reviews can be a great word-of-mouth advertising tool for your business. Use the feedback to improve any areas of your business that need it, and let satisfied customers help advertise for you. Online reviews can work in your favor, if you’re proactive about collecting them over time. Still unsure about building your visibility on the internet? Check out this article about why your online reputation is so important. Have more questions about online review sites? Leave a comment below and we’ll be sure to respond!